Your appliances are instrumental in your living a comfortable life, so what happens when they go haywire and malfunction? Don’t start shopping for replacements too soon; choose ABC Appliance instead. Based in Ozark, AL, this appliance repair company offers fast and successful repairs and maintenance services for your stoves, dishwashers, refrigerators, and other household appliances. When it comes to appliance repair, there’s no one better equipped to finish the job. For over six years, this family-operated company with nearly 35 years of experience has saved numerous families money they would’ve spent on replacement appliances. Their factory-trained technicians are able to provide service for most major appliances from all brands and manufacturers, and their parts inventory is vast, allowing them to replace everything from door handles to motors. They also have an extensive selection of certified, used appliances available for purchase. Whether you’re looking to save money on a deep freezer or reliable repairs for your dishwasher, the technicians at ABC Appliance will help you achieve your saving and maintenance goals. 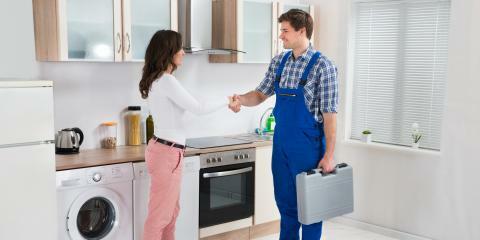 Contact them today for essential appliance repair at (334) 379-3135 or visit them online.